Pharmacists have sued Washington state over a new regulation that requires them to sell emergency contraception, also known as the "morning-after pill,” because it contains no exception for those who object on the basis of belief or conscience. In a lawsuit filed in federal court Wednesday, pharmacists Rhonda Mesler and Margo Thelen, and Stormans Inc., said the rule that took effect Thursday violates their civil rights by forcing them into choosing between "their livelihoods and their deeply held religious and moral beliefs." "The stakes really couldn't be much higher," plaintiffs' attorney Kristen Waggoner said. Earlier this year, the state ruled that druggists who believe emergency contraceptives are tantamount to abortion cannot stand in the way of a patient's “right” to the drugs. State legislators do not seem to notice that the new law ensures the “rights” of those who wish to use the contraceptives but does nothing to support the rights of those who believe it is immoral. 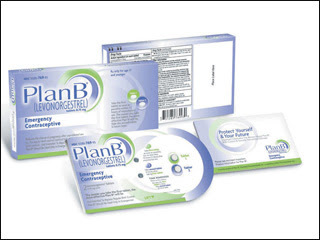 Plan B is often called “emergency contraception”, but in fact, it can cause an abortion because if it fails to stop ovulation it then acts to prevent any embryos from implanting in the uterus. Darlene Wilson, a licensed pharmacist is one such person who objects to the law. "For me, that would be killing a human life and I don't want to have any part of that," she said. Democratic Gov. Chris Gregoire, who brokered a compromise on the contraceptive rule and pressured the state Board of Pharmacy to adopt it, stood behind the regulation on Thursday. "Gov. Gregoire feels the Pharmacy Board went through an extensive public process to come to their decision, and she supports them," spokesman Lars Erickson said. Under the new state rule, pharmacists with personal objections to a drug can opt out by getting a co-worker to fill an order. But that applies only if the patient is able to get the prescription in the same pharmacy visit. The federal Food and Drug Administration made the morning-after pill available without prescription to adults last year.